You are currently browsing the daily archive for November 3, 2009. 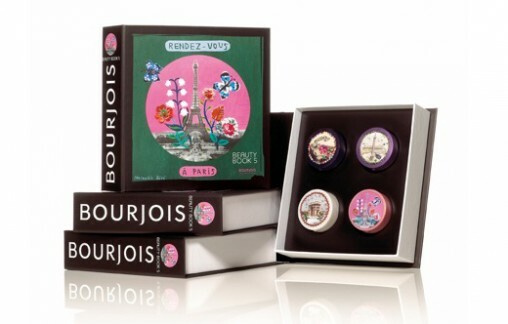 I’ve always loved Bourjois for their adorable packaging and fantastic mascara but unfortunately, I’m allergic to their lippies. 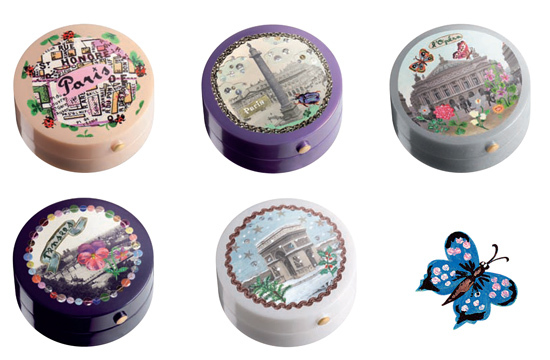 However I’m happy they will be releasing these limited edition collection of five eye shadows and three blushers called Rendez-Vous A Paris from mid Nov. Bourjois has teamed up with French artist and illustrator Nathalie Lete for all the whimsical depictions of famous Parisian landmark ~ the Place Vendome, the Opera Garnier, the city’s famous cafe culture, the Seine and the Arc de Triomphe.